"Camryn is always helpful. She always helps with jobs and she's very friendly. She always includes people." "She is an easy person to work with." 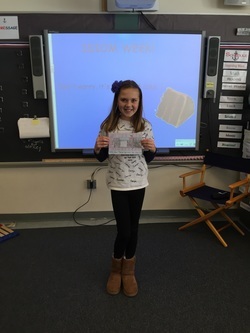 "Camryn is very helpful around the class and very funny!" "He makes the class efficient. He has grown so much with his English since the beginning of the year!" "He is always so nice to me and tries hard. He laughs at my jokes that aren't that funny." "He is really nice and tries hard."